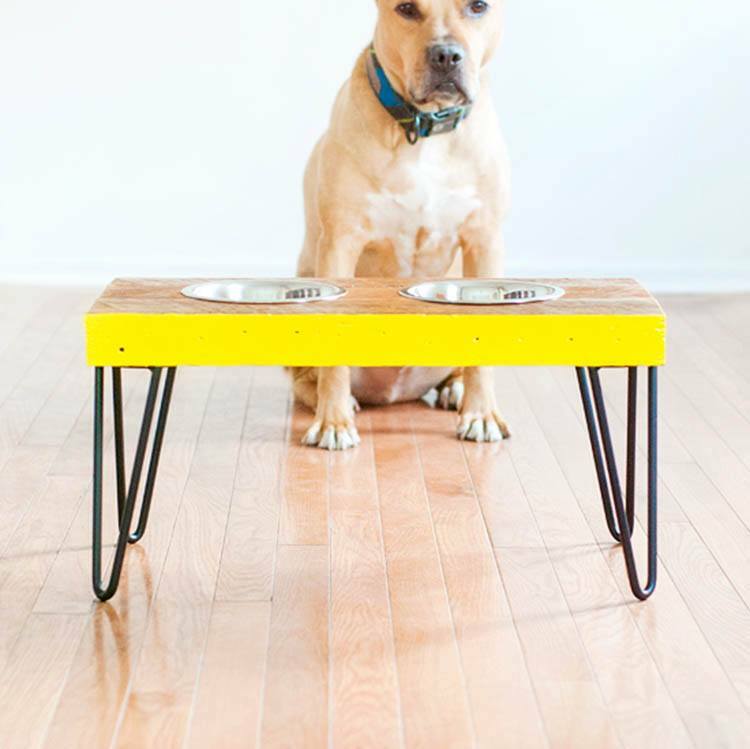 ​Combining my two favorite things in the entire world - Dogs and Rustic/Farmhouse Projects. This just makes total sense to me, and I'm sure you probably feel the same way. I picked out all my favorite ideas and put them in this awesome list. 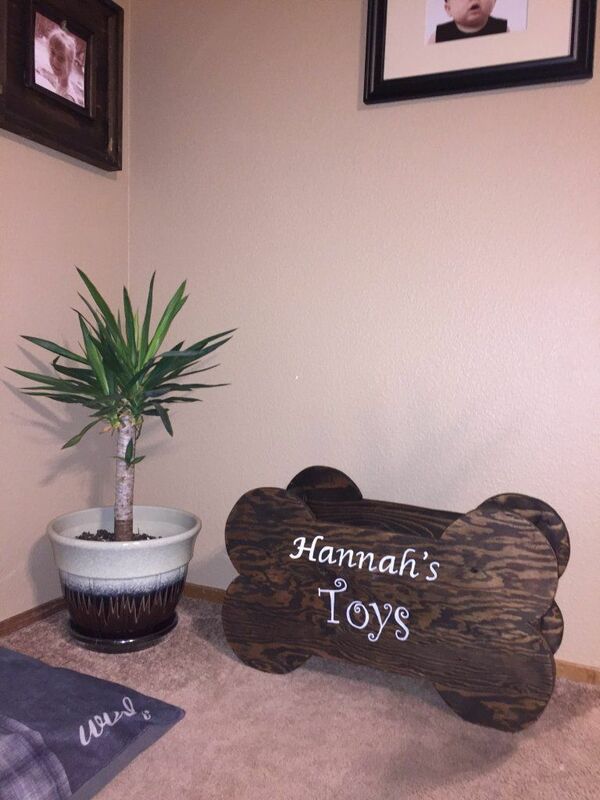 We included everything from food stations, to beds (a lot of beds), to leash hooks. And of course, each of these instructions allows for some creative freedom. If it's not quite rustic enough you can also add some wear-and-tear to the finish​. 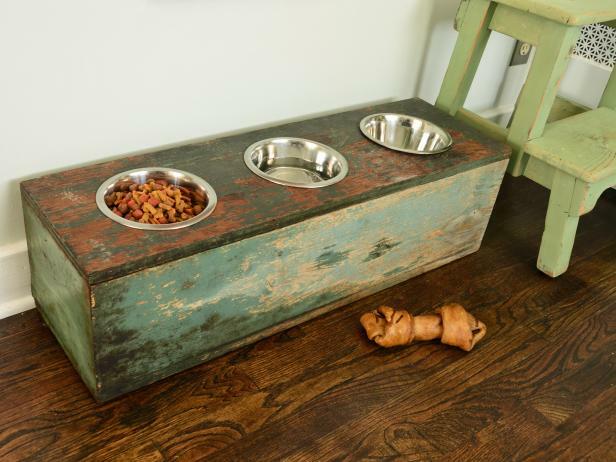 Lastly, just be careful what kind of paint/stain you use with dog feeding stations, since a dog's tongue tends to end up everywhere. 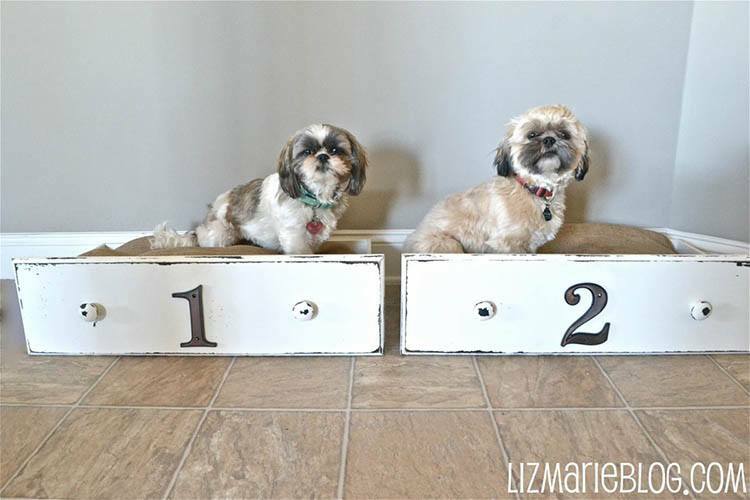 Is this not the most adorable doggie setup you've ever seen? 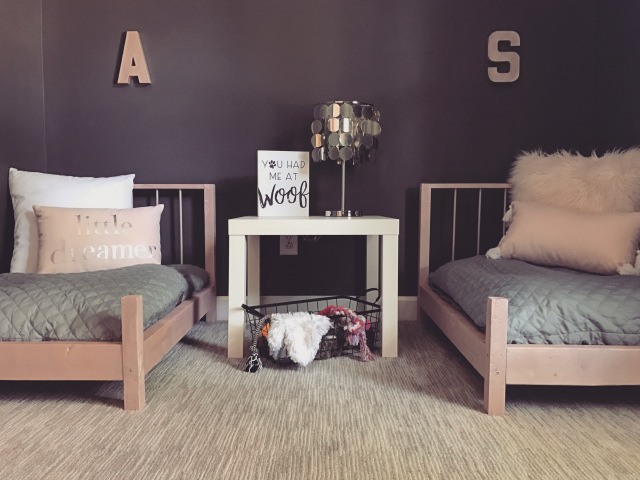 The letters above their beds made me fall in love with this project. And of course those little pillows. But the real DIY project here is the small bed frames, and I'm not going to lie, you'll need to channel your inner carpenter a little. ​This is as "farmhouse" as it gets, and it looks fantastic. Shanty-2-Chic do a marvelous job of laying out the build instructions, and even include a few videos to assist you. 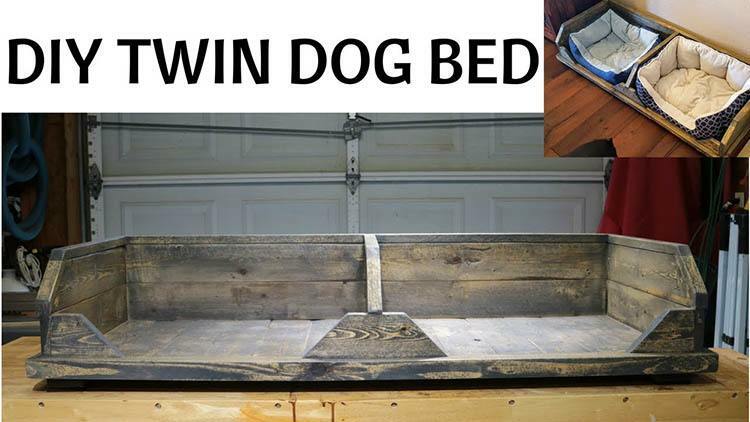 You'll need some tools and some skill, but if you're up for the challenge then this is a dog bed you can brag about. ​How awesome is this? I feel like I want these all over my house (not just for dog dishes). 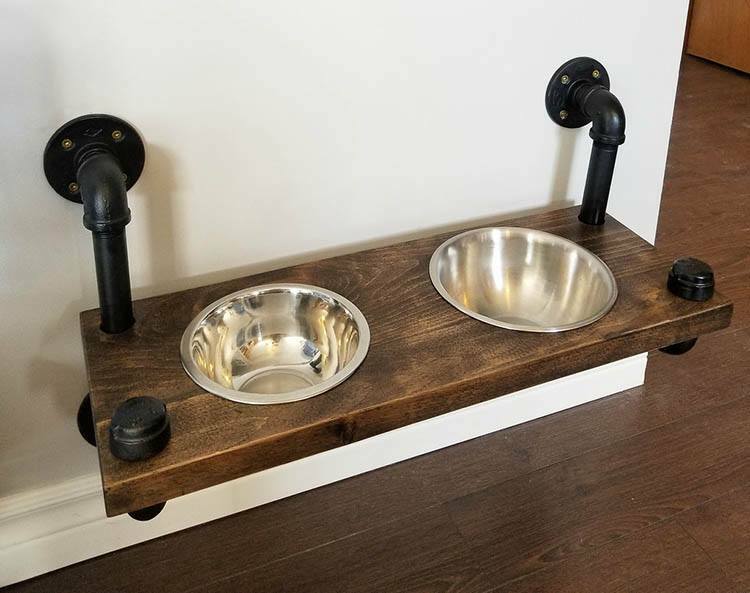 It's time to make use of that rotary tool, and with a little staining and a few plumbing pieces: you've got yourself an industrial feeding station. ​If you're like me, you toss your dog leashes in a small pile by the front door - but no longer! 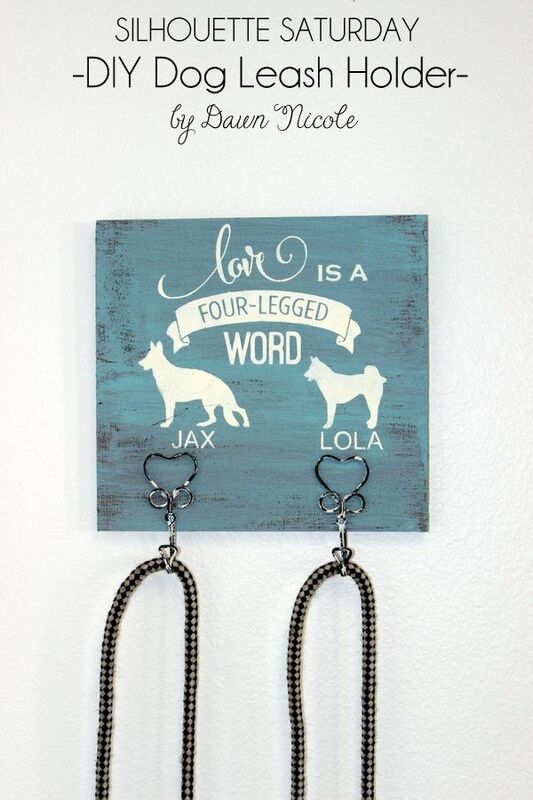 Now you can have this cute little hanger with a minature chalk board for each dog. I know what you're thinking, and no you don't have to be a master woodworker for this creation. It's actually a recycled crib that you can pick up second hand (these guys found one for $30). 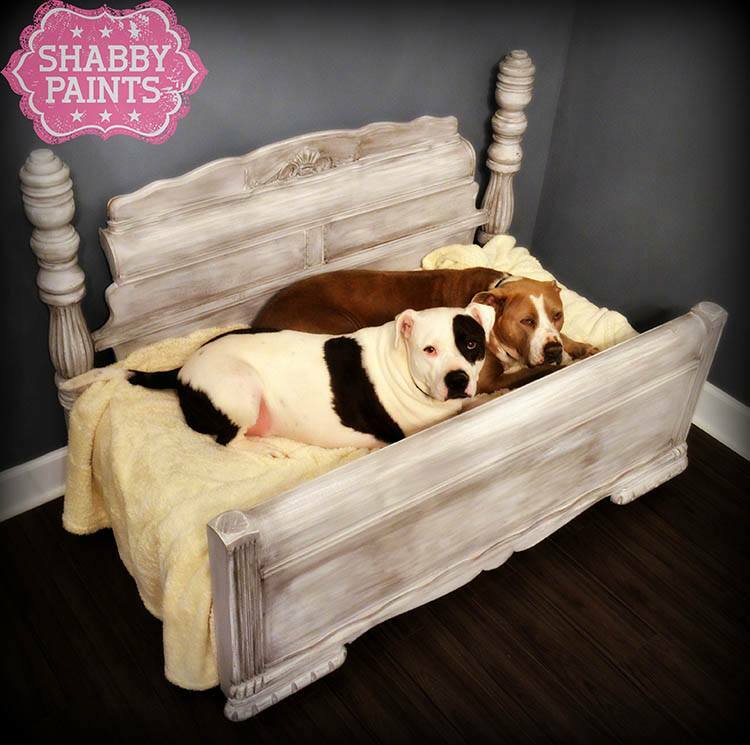 With a little love and some paint it makes this charming little bed for your fur babies. 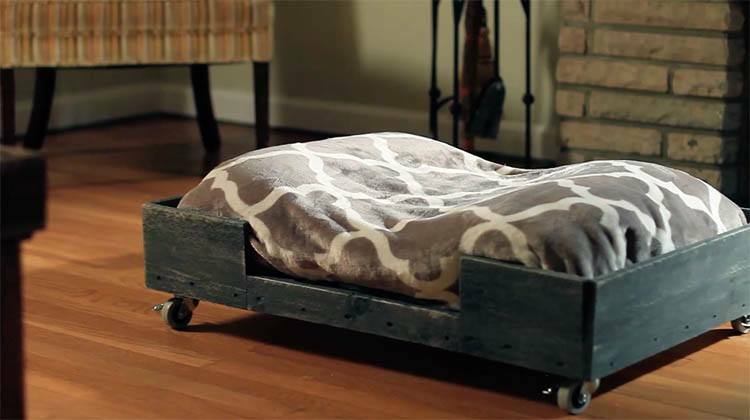 ​Not only is this bed beautiful, it's easy to make too. No tools required! 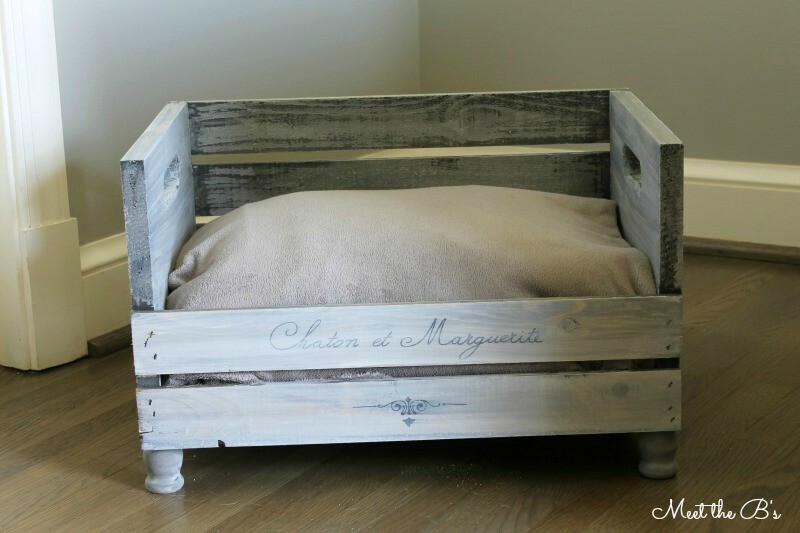 You can find these crates pre-made at Micheals, and then with a little love they turn out beautiful. ​This project is a little different but I love it. 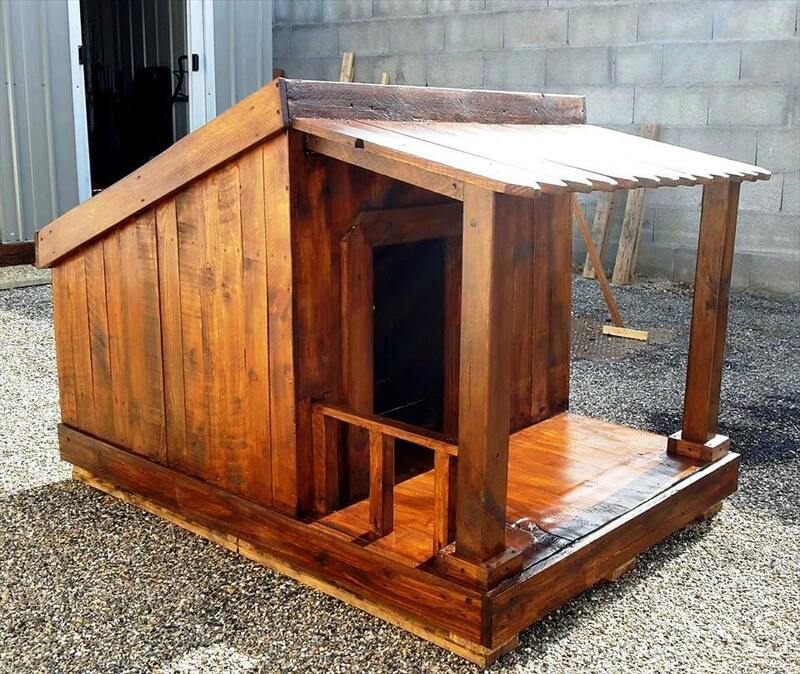 It's simply dressing up your kennel to make it a part of your home. 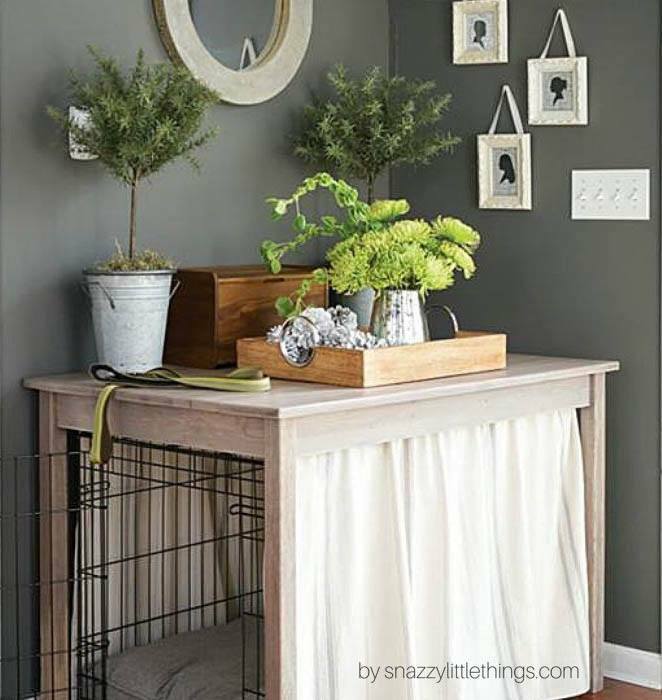 Who knew a frame and drapes could change a kennel into something so nice. ​What I love about this project is the instruction, Pallet University does an amazing job of walking you through step-by-step. Which includes plans with images and videos. Another fun detail is the ​wheels so you can cart your lazy dog around the house (don't worry, the wheels can lock). ​If you love your Dog's it's quite likely you shower them with toys, which then spread around your house in colorful piles. 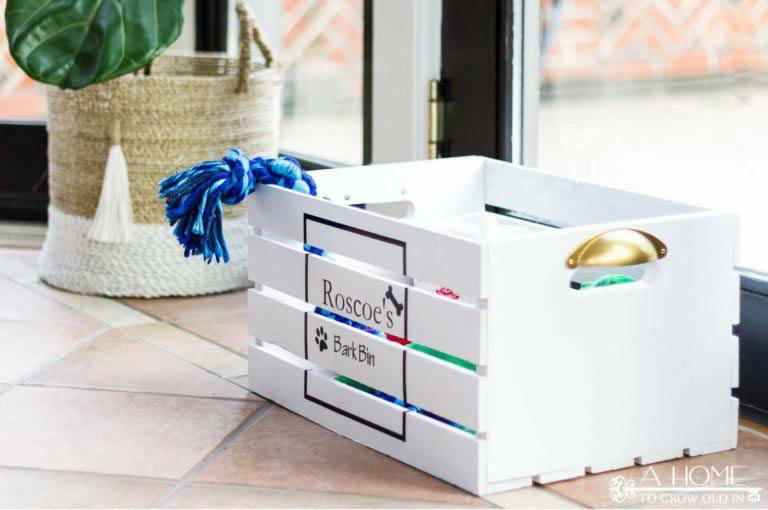 A toy box will save your life, and maybe what you've always needed is a bone-shaped toy box. ​This is so clever and creative, and can be easily recycled from old furniture. 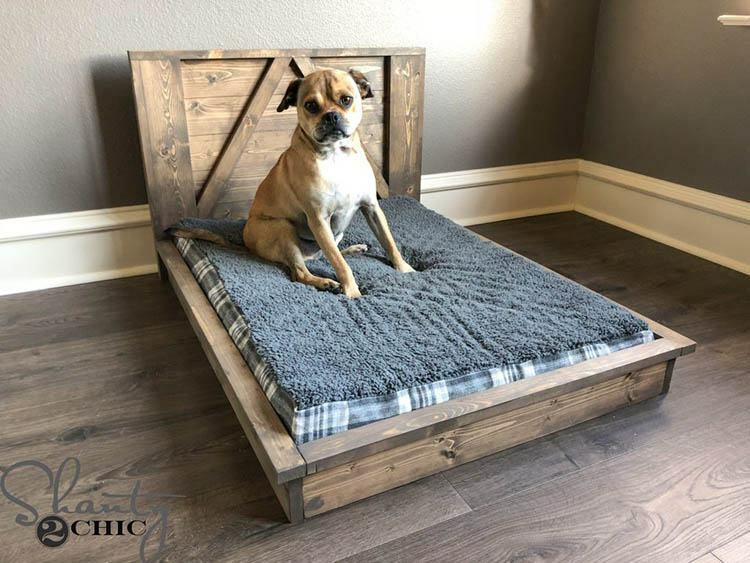 If you have the right sized dog this can be an easy project to impress your friends, but more importantly, your fur babies. ​These hairpin legs are all the rage right now, so it just makes sense to use them here (right?). It looks cool and trendy, but also old and rustic. ​This is as rustic as it gets, I could very easily imagine this being propped up right next to a farm. Look at that amazing paint job. AND - it doubles as a trunk, so store all their food or toys in. 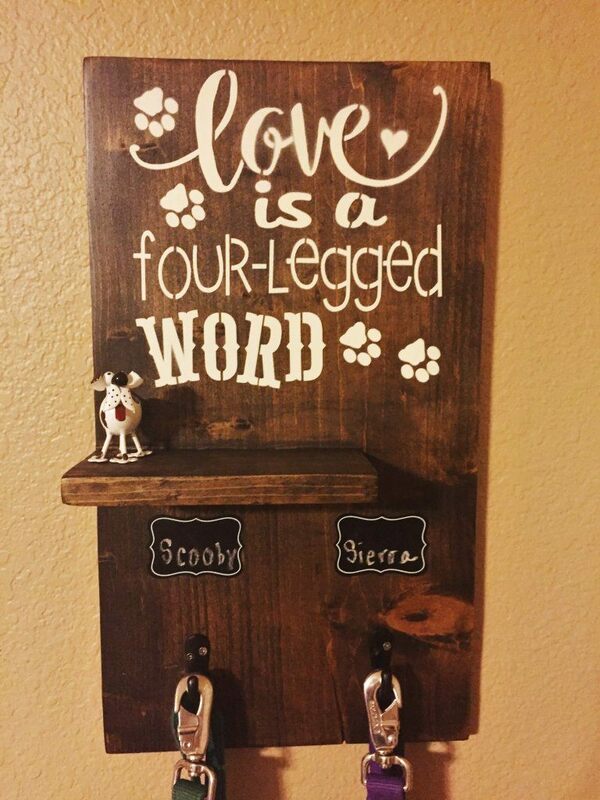 ​Another dog leash holder! But this time with some adorable stencil work that I absolutely love. It's all about the details - and you'll notcie how they've worn how the heart shaped hooks as well. ​Feeling ambitious? This is a big project, but it's home that even the neighbors would be jealous of. ​Have you ever tried a potty bell for your dog? They work surprisingly well. 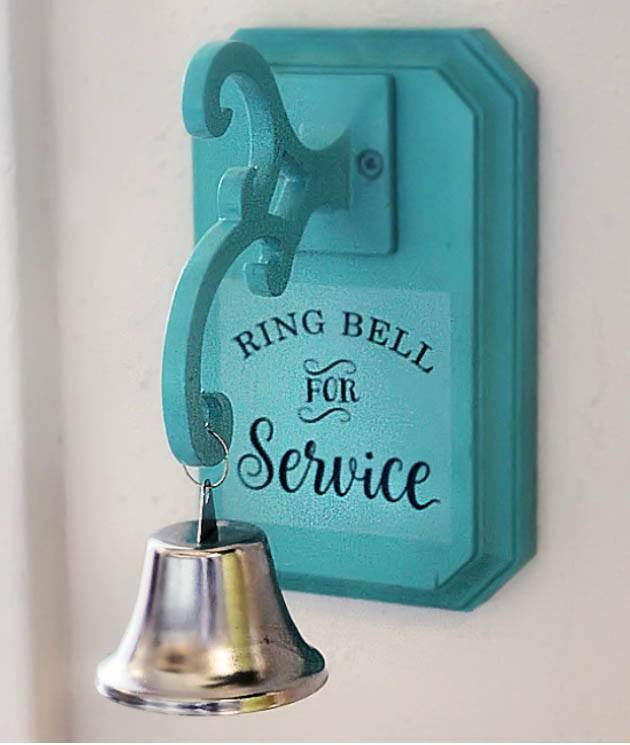 Your dog will learn to boop the bell everytime it's time to go outside. That being said, they may also ring it everytime they see a ​squirrel - you've been warned. ​Here's another premade crate project, and this is probably the easiest project on this list. In fact, all you need to do is paint and screw on a few drawer holders on the side. ​Yep! Another dog bed. It's a two-in-one deal, where you make a rustic twin bed frame and fill it with your mattress of choice.